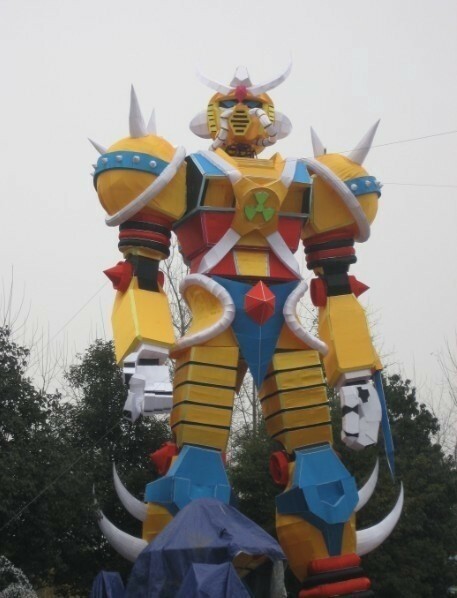 Thanks to the work of talented Japanese artists, the Chinese Gundam statue no longer looks like the ugly stepchild of the mecha family. Yesterday, we caught a glimpse of China's attempt to convince people it hadn't tried to rip off the giant Gundam statue standing tall in Japan. 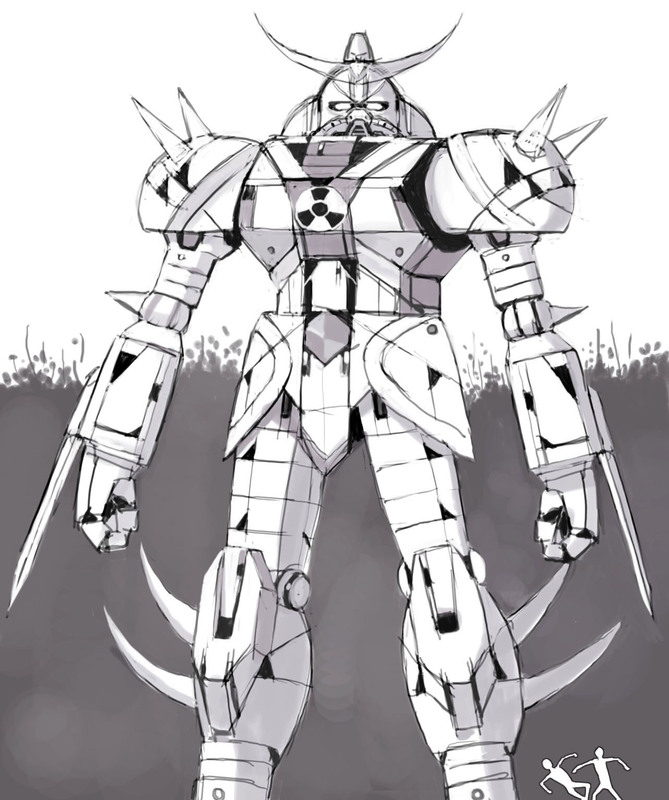 Frankly speaking, it was hideous: The color scheme was embarrassing, the construction looked shoddy, and it just looked like its designers had thrown random spikes and tubes onto it to disguise its original Gundam design (which, in all likelihood, is completely true). Maybe it just needed a new paint job? This color scheme makes it go three times faster. 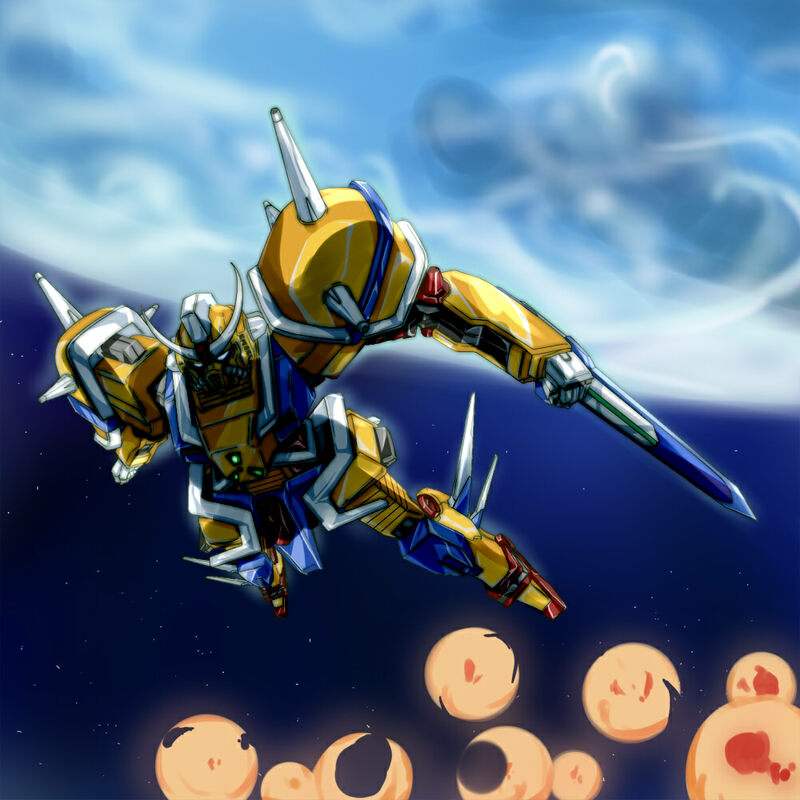 Sprite art, a la Super Robot Wars. 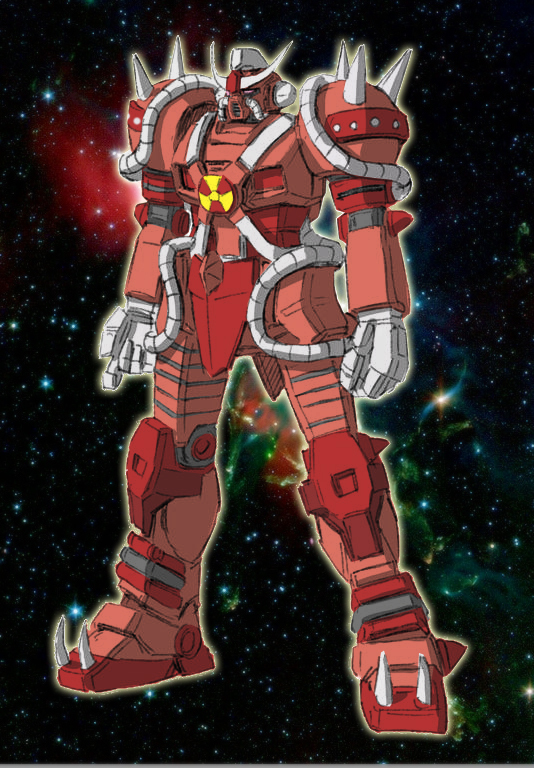 But whereas you and I might have looked at this new sorry excuse for a mecha and seen only a pitiable creature worthy of disdain, others saw something different. Others looked beyond the garish colors and the random nuclear-power symbol on the torso, and saw ... potential. It might have been potential well-hidden underneath poor craftsmanship, but it was potential nonetheless. 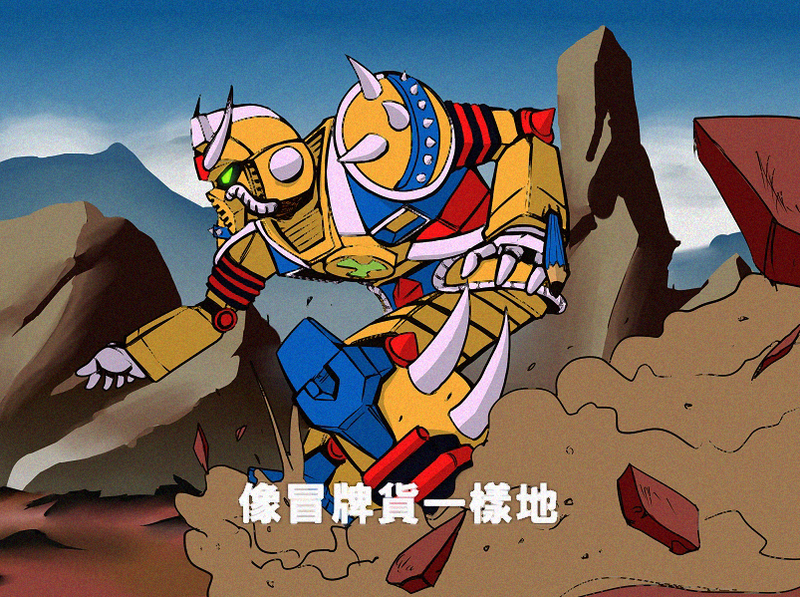 So, a bunch of Japanese fanartists decided to give the Chinese not!Gundam the treatment it deserved. You know what? I'll eat some crow here: The Chinese design actually looks kind of cool in these pictures. 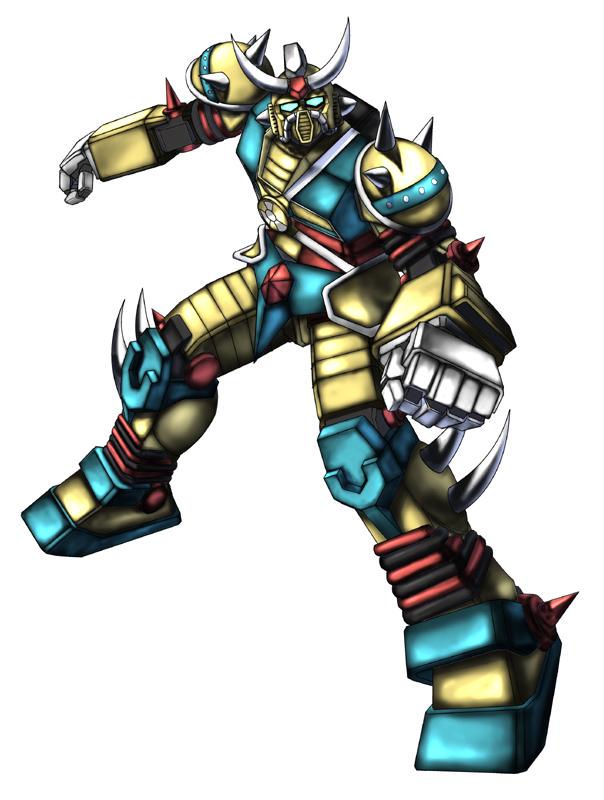 It very much feels like a classic "super robot" a la Mazinger or Getter Robo, what with the random spikes and the bright primary color paint job, but I could see people buying a hypothetical model kit of this one day. 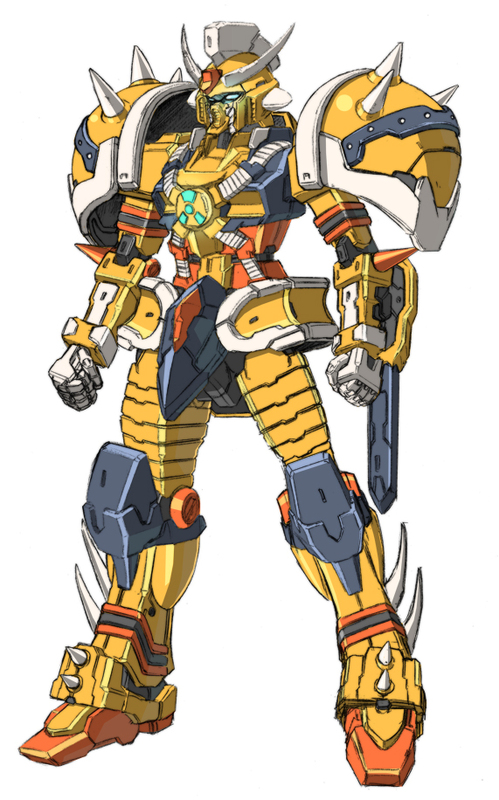 Then again, maybe cool art can make even a mediocre design look decent. 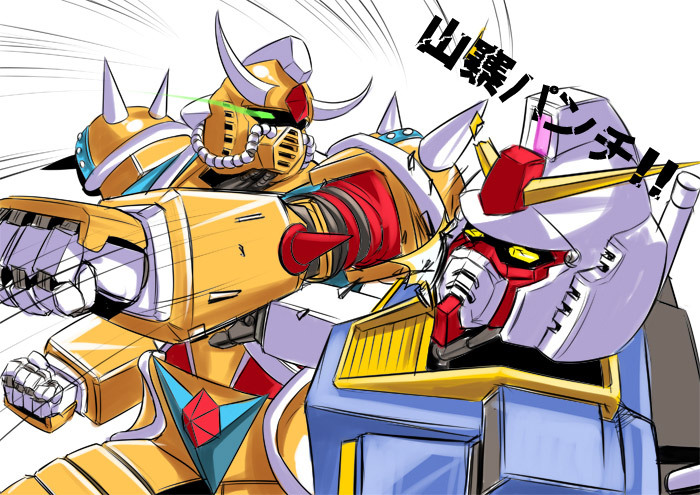 I mean, just look at Gundam Wing.